A drop-down menu is a smart way to present the categories of the different sections of your menu bar. As one clicks on a section, the drop-down menu will open up, revealing the various categories under it. Some of these come up with multiple levels so that you can include the sub-categories of each category. 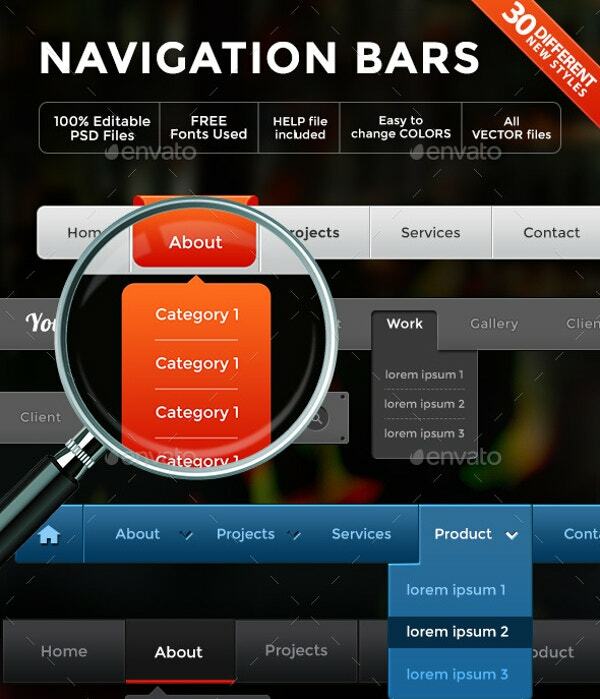 Such menus are mostly used for products, services, and reviews. Some of them even enable you to include video links and illustrations along with the text. 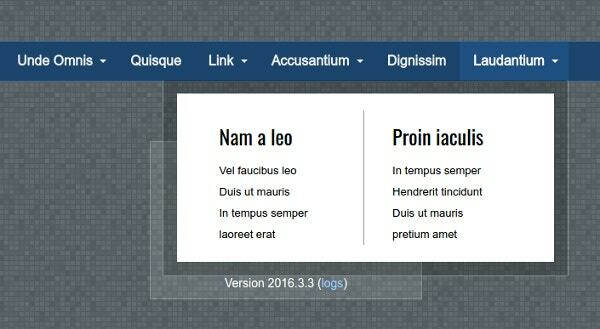 You can also see jQuery Drop Down Menu Themes. The best part about this drop-down menu is that it enables you to include a video along with the textual list in the pull-down menu. There are eight different styles to pick from, three versions, and six color options. 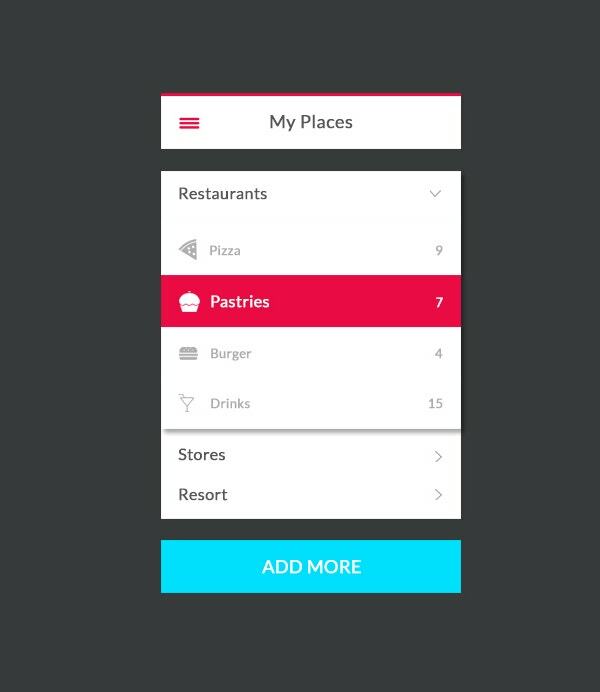 If you are looking for something minimalistic and smart with your drop-down menu, this drop-down menu UI would be perfect for you. 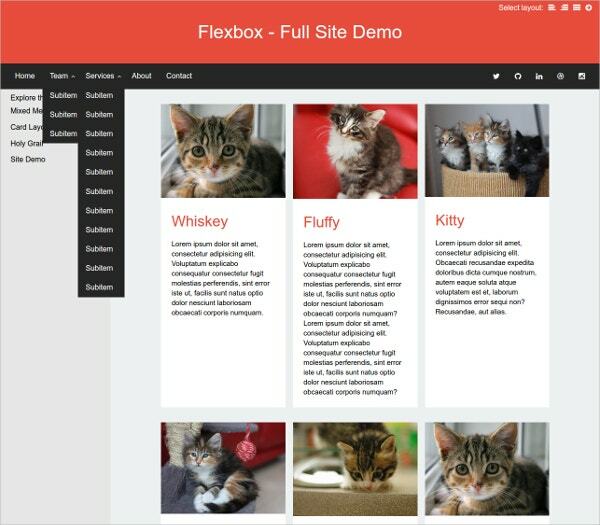 You are getting a fully coded HTML/CSS version here in PSD file that would perform like a breeze on both desktop and mobile. The Sky Club Drop-down Menu offers you a drop-down menu for every important section of your menu bar such as pricing, services, reviews, and “How to Join”. Almost all the pull-down menus come with CTAs like “More” or “Read More”. 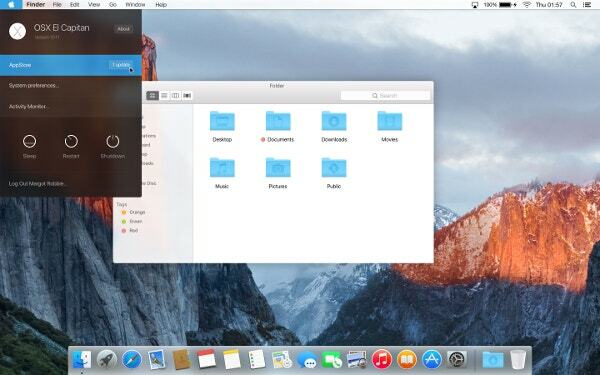 This Apple Drop-down menu is for OSX and if you are looking for something suave and sophisticated, this drop-down menu is the thing for you. It allows you to include up to 3 categories. 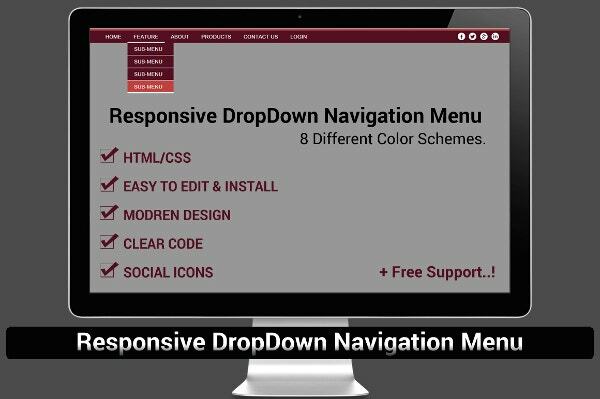 This is an amazing drop-down menu template where you have 30 different styles, catering to different major sections on your menu bar such as “About”, “Product”, “Services” and so on. The colors can be altered easily. 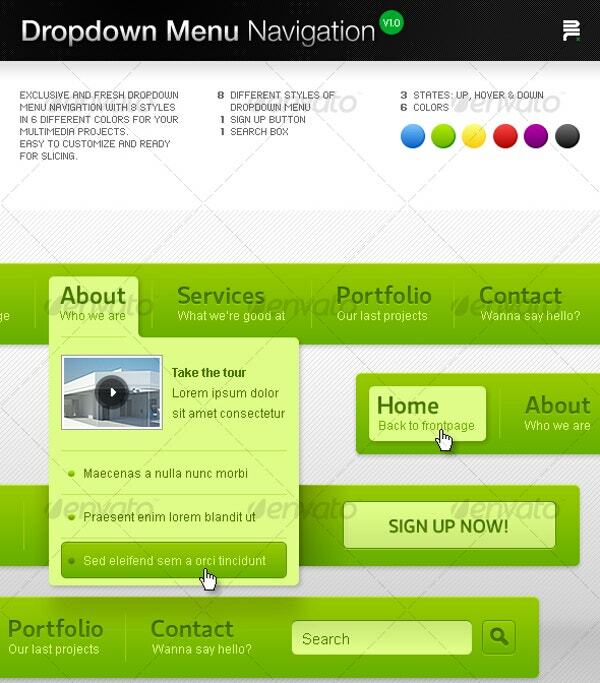 You have a mobile-friendly, responsive drop-down navigation menu here carrying a clean, modern design. 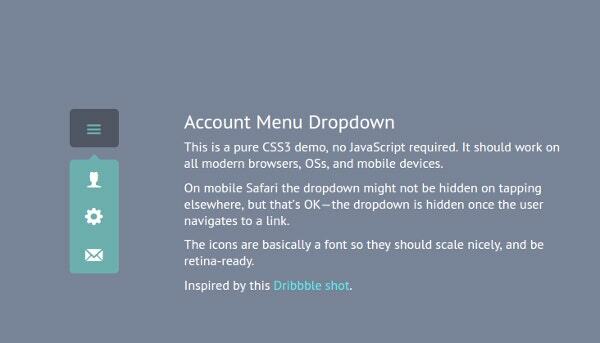 It’s clear-coded, easy to install and edit, as well as assures a place for social icons. You have a stylish, transparent drop-down menu here which will show up with a colored line in a specific category as you move your mouse on it. 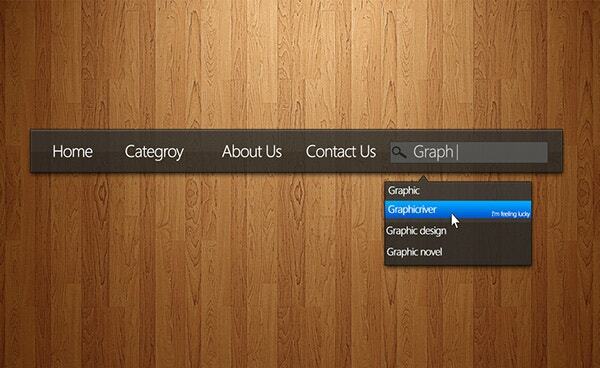 You can include up to 4 categories in the pull-down menu. This profile drop-down menu steals the show with its chic framework that will allow you to include links to your profile, the account settings, and the log out thread. 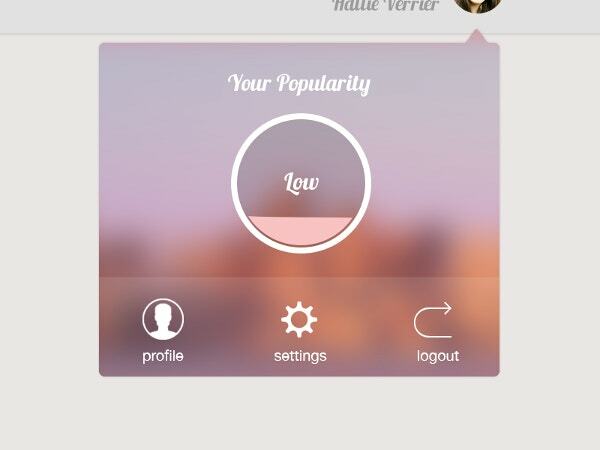 On top of that, the circle rates your popularity meter. You have an elegant drop-down menu here which allows you to sub-divide the sub-sections into several sections along with artworks and figures, added to the text. If you need to mention an elaborate range of categories for different sub-sections in one place, this is the template for you. 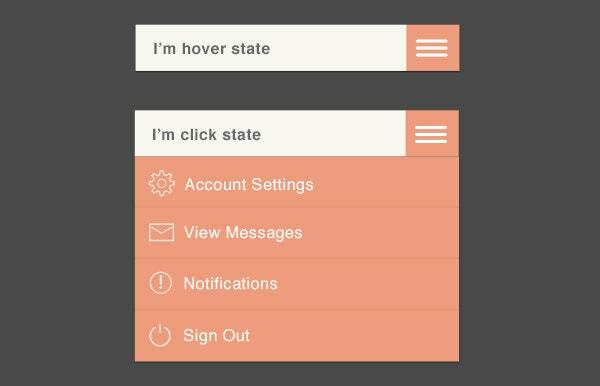 The lovely pink for the drop-down sets a beautiful tone against a white background. 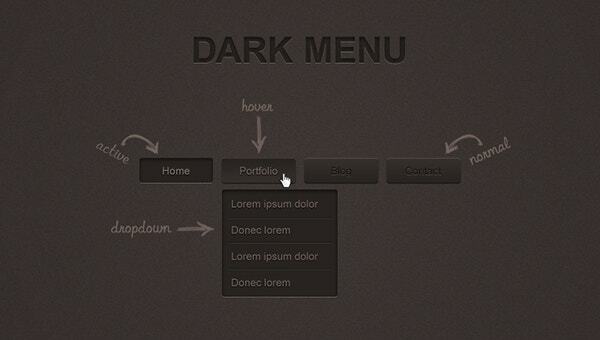 You have a simplistic yet elegant pull-down menu here where you can include up to 3 categories. 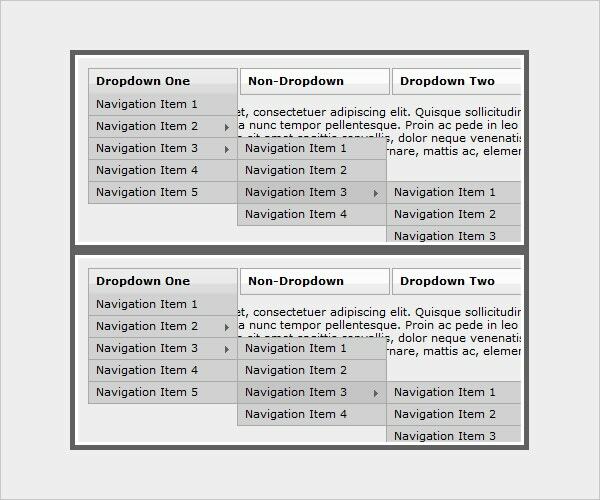 You have a wide range of CSS Drop-down menu templates here which are easily deployable, courtesy of their well-organized files. 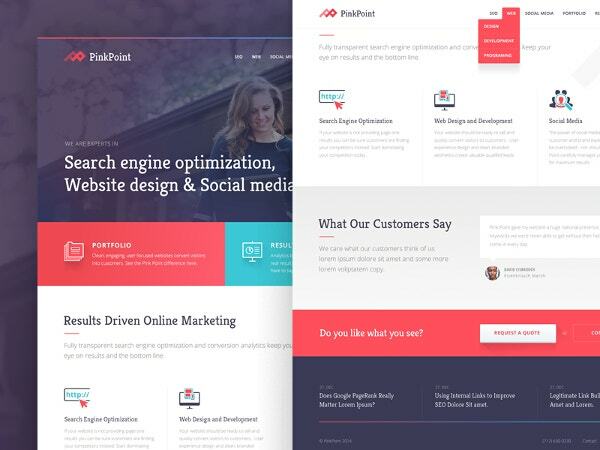 These are cross-browser compatible and can be transformed in various directions. If you want something different from the boring text usual with all drop-down menus, this smart drop-down menu here would be simply cool for you with its relevant illustrations for each section of the menu bar. If you want a multi-level drop down menu to mention all your sub-sections and their relevant divisions or categories, this menu template here would be great for you. It sports great animation effects. The drop-down menus are a constant feature in almost every website today and the modern, responsive models make them easy to open in the mobile phones as well. 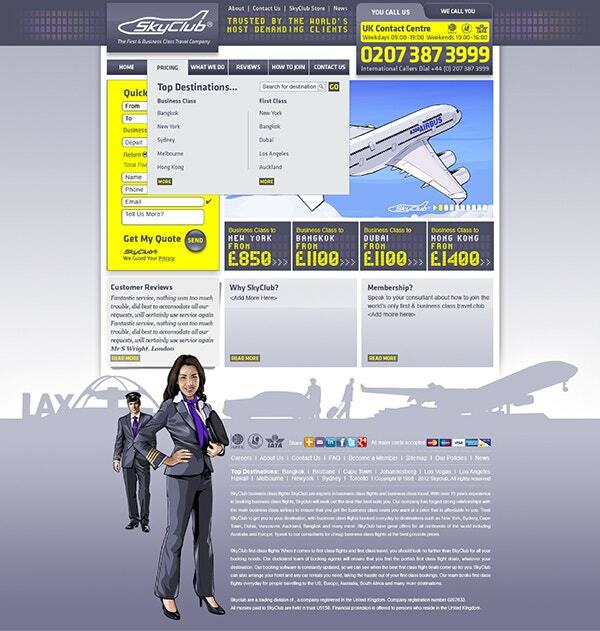 These offer a professional and clean outlook to the website, assuring a smooth navigation for the visitors. The great thing about these menus is that the drop-down feature helps to free sidebar space.